If you live around Wyndham Vale and need concreting, fencing and landscaping services you don’t need to look any further than Everlast Services. You can count on us to care for you and your needs, as we’re a family owned company that has built its reputation on providing a quality service and delivering exactly what the customer wants. Our steel fabrication pant means we can cut out the middleman and produce a large amount of our products in-house. This allows us to keep costs down and pass these savings on to you. Not only do we love passing on savings, we also love giving back to our community and that’s why we only source and provide Australian made and owned products. Aluminium Slat Fencing: This fencing option is getting more and more popular and when you see it installed, you’ll know why. Steel Fencing: We love steel at Everlast and we know how to use it to give you an incredible fencing option. Swimming Pool Fencing: Compliant and beautiful fencing to keep your family safe. Industrial Security Fencing: With our experience and expertise, you can trust us to keep your asset safe. Colorbond Fencing: Colorbond is a fantastic option for someone looking for style, durability and quality. Driveway Gates and Fences: Whether it’s a sliding, swinging, automatic or a simple latch option we will provide whatever you need at an unbeatable price. Fencing Supplies: We know who makes our supplies and we see them getting made, so can vouch for their quality. Aluminium Fence Panels: We provide the panels you need to create your own aluminum fencing solution. Concrete Driveways: We’ll provide you with the concrete driveway option you need using the expertise and experience we’ve built up over the last 20-years. Exposed Aggregate Concrete: All the benefits of concrete with a beautiful finish and textural delight. Painted Concrete: Don’t pay for slate and don’t put up with the maintenance that tiled driveways require. You can create all these looks with painted concrete for a far lesser price and without the hassle. 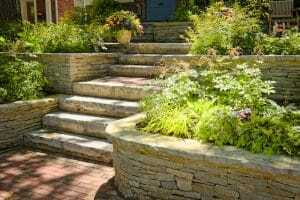 Landscaping Design: Don’t be content with what you have, contact Everlast and create what you want. Landscaping Installation: We provide you with the ease of having one point of contact to design and install your new backyard. Landscape Supplies: If you’re a DIY fanatic, we can provide you with all the tools, products and advice you need to create your masterpiece. Timber Decking: If you want a decking to maker this summer one to remember, there’s no one better than Everlast. Pergolas: Our steel-frame pergolas will provide you with an outdoor living space you can enjoy all year round.